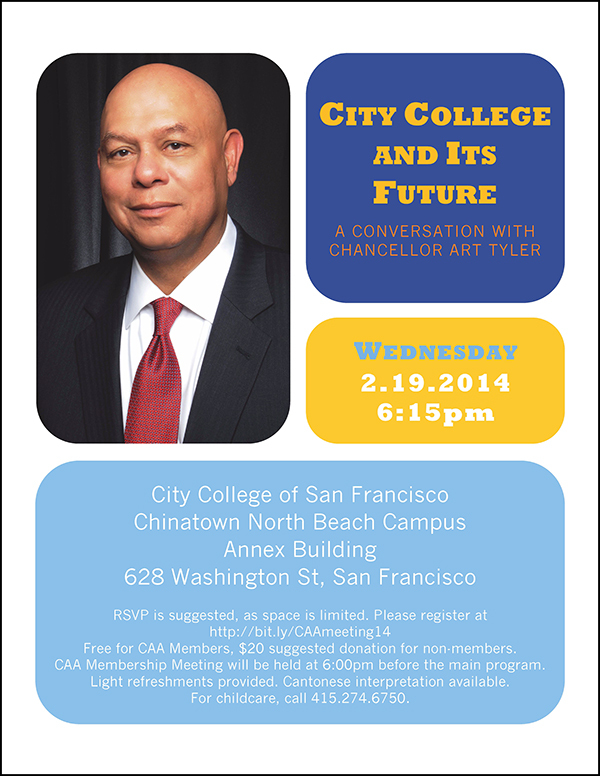 Join Chinese for Affirmative Action and Chancellor Art Tyler for a conversation about City College of San Francisco and its future. RSVP is suggested as space is limited. Please register here. Free for CAA Members, $20 suggested donation for non-members. No one will be turned away due to lack of funds. CAA Membership Meeting will be held at 6:00pm before the main program. Light refreshments provided. Cantonese interpretation will be available. For childcare, call (415) 274-6750.